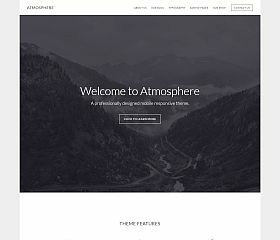 Atmosphere was designed to be extremely versatile yet maintaining a beautiful adaptable design that would work for many different types of websites or blogs. Designed as a child theme for StudioPress’ popular Genesis Framework, it includes all of the features, power, and functionality of Genesis – yet gives you a crisp and clean, modern design. 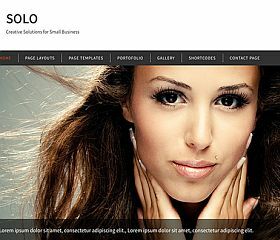 Solo comes with a responsive layout and design, built-in portfolio, featured content slider on the homepage, and theme options you can customize – this is a very flexible and easy-to-use Genesis theme. Workstation Pro is a premium genesis child theme for WordPress that is very versatile and flexible in its uses. 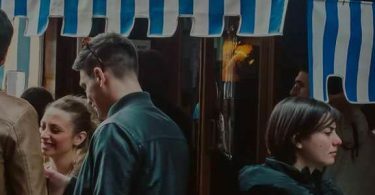 Designed for creative agencies and businesses, it would work as well for a single-person startup as it would a large creative agency or business. 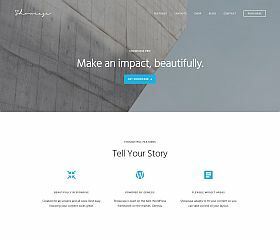 Single provides the perfect way to showcase your work – with a bold and beautiful header area, amazing portfolio section, and a modern (responsive) design. 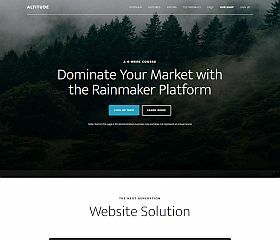 Altitude Pro is a WordPress theme for the Genesis Framework that gives you an amazing-looking site that is both professional yet inviting. Packed full of features, this single-page theme incorporates scrolling parallax effects with a full-screen layout that is sure to capture the attention of your visitors. Perfect for a landing page, business, or promoting a product or service – you will have all of the features you might want to create a stunning website. 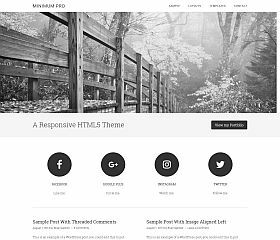 Modern Studio is a creative Genesis theme for WordPress that delivers a crisp and clean, minimalist design. The simple and uncluttered layout makes it perfect for those seeking to showcase their content in a stylish and contemporary fashion. 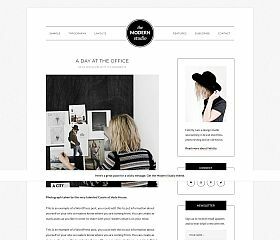 Whether you’re a blogger looking for a modern design or a creative worker looking to showcase your work – this theme delivers on all counts. 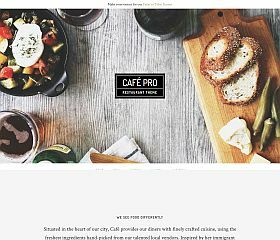 Cafe Pro is a WordPress child theme for the Genesis framework that was built exclusively for the restaurant and food industry. Visually striking with elegance, imagery, and sophistication – this child theme delivers an unbeatable solution for anyone wanting a cutting edge solution that looks and functions beautifully. Daily Dish Pro is a clean and professional-looking WordPress theme that was built for recipes or food bloggers. 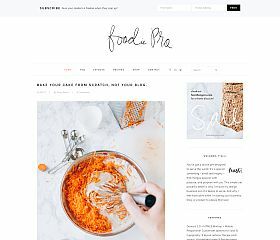 Featuring a very clean and modern design, it allows you to showcase a variety of different types of content (whether it’s a standard blog post, recipe, or featured items), and contains multiple content sections that give it an almost magazine-style layout. Foodie Pro is a child theme for recipes that is built upon the popular Genesis Framework by StudioPress. It gives you all of the great design elements and features you would want in a site, and is built upon one of the most tested and optimized WordPress frameworks available today. Parallax Pro is child theme for Genesis that prominently features a parallax design element in the layout. Capture your visitor’s attention as they land on your site and scroll down the homepage, with a unique perspective that will entice and intrigue them. 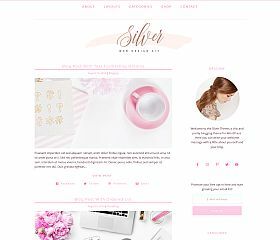 Silver is a feminine designed, bloggin theme for Genesis – that also supports WooCommerce for selling things on your blog. Featuring a soft and inviting color scheme, a fully responsive layout, email newsletter/sign-up box, Instagram and social media integration, and many different options for customizing – it’s the perfect choice for those wanting a softer and more feminine-feeling theme for their blog. 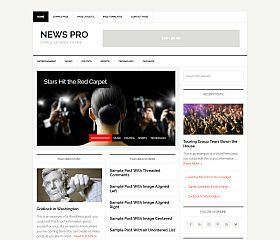 News Pro delivers a theme that has been rigorously tested for speed, optimized for SEO, designed for visitors, and built for online publications. 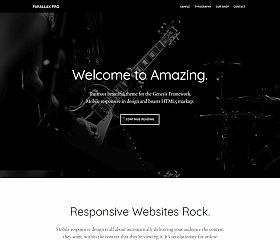 Built upon the rock-solid Genesis Framework for WordPress, it has been expertly-coded and hand-crafted for optimal results – supporting media from content posts to video and audio. 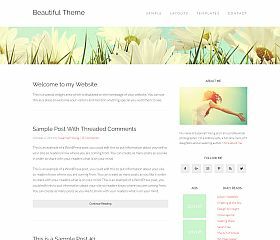 Beautiful Pro is a Genesis child theme for WordPress that offers up a clean and crisp design that is as versatile as it is visually striking. With a laid-back, yet professional and inviting look – this theme would make the perfect choice for bloggers or writers wanting a simple-to-use solution. 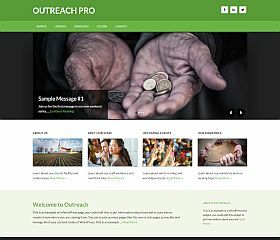 Outreach Pro is a child theme for the Genesis Framework that utilizes a modern, flat-style design to give your church website the updated look that you’re striving for. Built on the Genesis Framework for WordPress, your site will have best-in-class coding, design, and development that has been tested by some of the world’s leading experts. 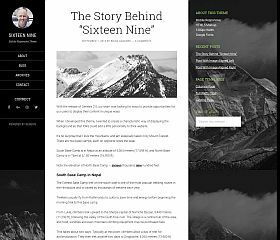 Sixteen Nine Pro is a modern Genesis child theme for WordPress that gives your blog a cutting edge look, that is built upon one of the most well-coded frameworks available on the market today. 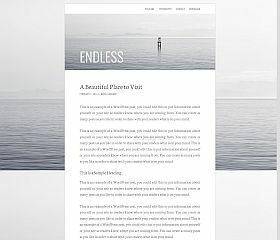 Coded with HTML5 and featuring two sidebars (one floating and one fixed), it gives you a clean-looking design that would make the perfect choice for a personal blog. 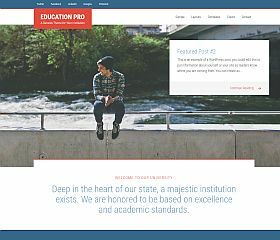 Education Pro is one of the most tested and optimized educational WordPress themes available on the market today. The modern design ensures that your education facility’s website conveys the professionalism and contemporary look that you would want your visitors to see, while still retaining all of the functionality you need to create a world-class site. 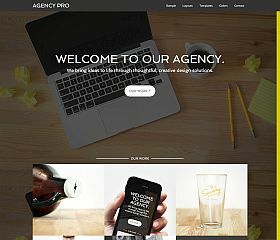 Agency Pro is a professional business WordPress theme built for StudioPress’ Genesis framework. Conveying a polished and sleek look, the design emphasizes its visual appeal with several bold and striking elements. Featuring parallax scrolling, a full-width layout, an integrated portfolio and blog, and a handful of features that will help you stand out from the competition – it delivers an unmatched experience. 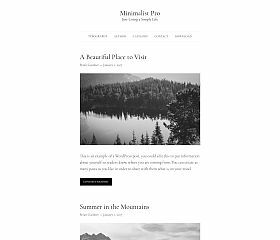 Minimum Pro takes a “less is more” approach to delivering an amazing-looking solution for your website or blog. Built with HTML5, a sticky navigation menu, and a responsive design, you can create a state-of-the-art site that looks amazing on any device. Customize the header, background, and other aspects of the theme – and even incorporate a parallax design element into your site for a look that is clean yet highly captivating. 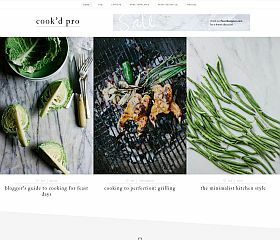 Cook’d Pro was designed with food bloggers in mind and optimized for responsiveness, SEO, and load time – ensuring the best possible experience for your visitors. 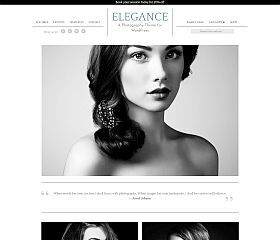 Featuring bold imagery, the ability for visitor’s to “love” posts, an uncluttered design, and the ability to select templates for various pages – this theme is unmatched in its design and applications. Elegance Pro was built to showcase your photos in a beautiful and engaging manner. Whether you’re a photographer wanting to showcase your products and services, an artist that wants to display your work, or even a freelancer that wants to have a great-looking website for promoting your services – this theme delivers just about anything you might want or need. Center places your visitor’s attention upon the content via a single-column layout (which also lends a very unique look to your blog or site). 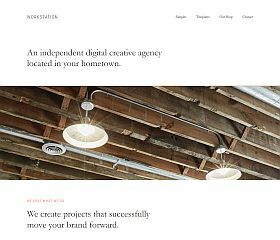 The clean styling and subtle use of shadows and textures makes this a highly modifiable and adaptable theme for any WordPress project. Showcase Pro is a Genesis theme that was designed to display your products and services in style. Share information your visitors would want in an easy-to-browse format that is sure to engage and capture their attention. 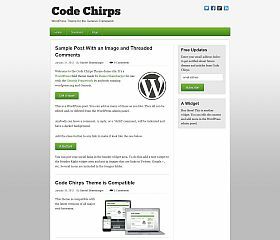 Code Chirps gives you a clean and simple theme for blogging. 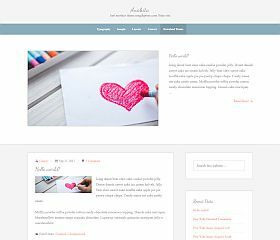 Anahita was designed with a soft and subdued pastel color scheme and elegant design touches, this free theme for Genesis can adapt to suit many different types of sites and content. 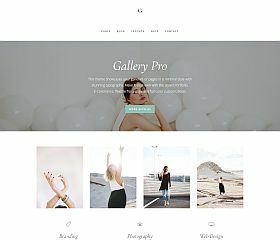 Digital Pro offers a beautiful, clean, and minimalist Genesis theme that was created for those wanting to sell digital products. With plenty of whitespace, a full-width hero image that greets visitors to your homepage, responsive layout and design, and many customization options – it’s a perfect choice for many diferent types of products, services, and sites. Minimalist Pro is yet another super clean and uncluttered theme for Genesis by the renowned Brian Gardner. Gallery Pro offers the perfect design and layout to share your content. 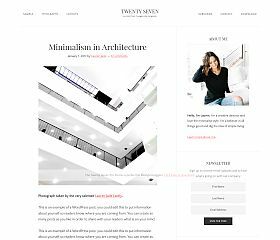 Whether you’re wanting a minimalist blogging theme to share your posts with, or you’re looking for a simple way to show off your portfolio – this theme can adapt to many different uses and types of sites. Twenty Seven Pro features remarkable functionality with an ultra-minimalist design. Just a few of the theme’s featured include: multiple widget areas, 3 unique layout options, custom logo uploading functionality, custom color schemes to choose from, and a mobile and responsive layout and design. 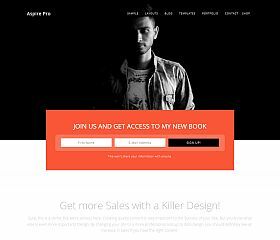 Aspire is a very versatile theme that can adapt to many different types and styles of content – this theme provides a beautiful and elegant solution for many industries and topics. With a large call-to-action/sign-up box on the homepage, responsive layout and design, beautiful CSS3 animation effects, full-width content sections, and a clean, professional design – this theme balances design and function together beautifully. 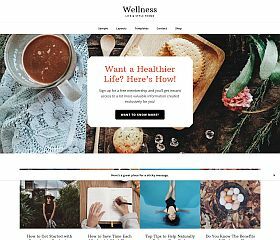 Wellness Pro was designed with the health and lifestyle blogging industry in mind – but can work great across many different types of sites and topics. With a clean and modern-looking design that features parallax scrolling effects, beautiful CSS3 animation effects, a sticky message that fades in, and an ultra-responsive layout – it makes the perfect choice for many different styles and types of blogs and websites. 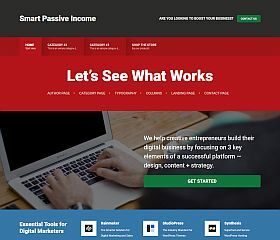 Smart Passive Income Pro is based upon the popular SmartPassiveIncome.com website by Pat Flynn. 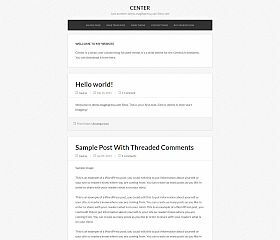 This child theme for Genesis combines a beautiful layout with tested placements and sections for your posts, content, calls to action, and more – all based upon one of the web’s most-tested and trusted frameworks, Genesis. 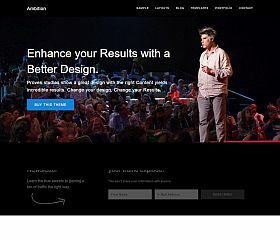 Ambition will immediately grab the attention of your visitors – with a large, full-width, parallax image with a call-to-action button on the homepage. Just a few of the theme’s options include: parallax design elements, custom design elements, built-in slider, portfolio section, sticky navigation menu, and more. 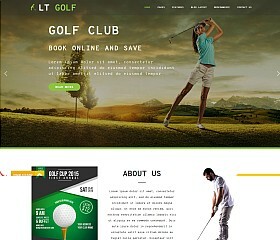 LT Golf is the perfect choice for any type of golf blog or website. Great for golf courses, clubs, pro services, or sites that revolve around the sport – it provides a clean and eye-catching design that conveys professionalism. StudioPress set the bar high when they released the Genesis Framework for WordPress – which is one of the most powerful, secure, and optimized frameworks on the market today. Some of the biggest bloggers and websites use a framework to power their site (and Genesis users include ProBlogger, Chris Brogan, Yoast, and Copyblogger among others) – which allows you to build upon a beautifully coded back-end that has been optimized with sparkling, clean code that has been finely tweaked for maximum performance. Developed by StudioPress (one of the world’s leading WordPress development and design shops) Genesis provides the functionality and features that have been carefully tuned and tested – ensuring your blog or website is running at its very best. Over the past several years, this framework has been deployed on nearly 100,000 websites and blogs – a testament to how wildly popular and embraced it is by designers and developers. Even out of the box, Genesis can easily run nearly any type of website or blog. 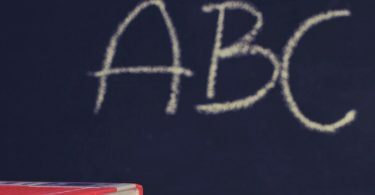 However, because of the nature of the framework – you can hook in child themes (which use the base code but enhance some of the design and functionality of your site) to give you whatever design or features you might need. Luckily, there are a handful of really excellent free child themes for Genesis that can help deliver a professional look for your website or blog. If you’re looking for additional options to choose from, you might also want to take a look at the StudioPress theme shop. 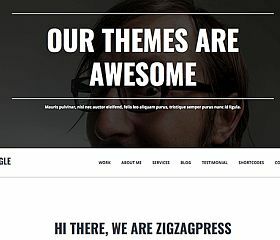 It features designs from third-party developers in addition to their own selection, and these themes make a good choice for those who might want support for customizing their design or help if they run into any obstacles (because premium themes include support). I’ve rounded up some of the best child themes (with a ton of free ones as well) that can get you started and present a beautifully aesthetic look to your visitors. 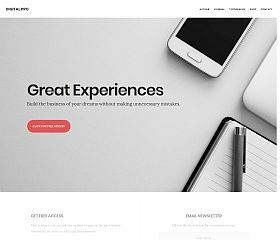 While all of the themes on this page are free, they do require the Genesis Framework by StudioPress in order to function properly. So… take ’em for a test drive and see what you think.